Online registration is now open for Write Here! Write Now! Keynote speaker Dr. Timothy Rasinski, professor of literacy at Kent State University, has written over 250 articles and has authored, co-authored or edited over 50 books or curriculum programs on reading education. He is author of the bestselling book on reading fluency entitled The Fluent Reader, published by Scholastic, and coauthor of the award-winning vocabulary program called Building Vocabulary, published by Teacher Created Materials. His scholarly interests include reading fluency and word study, readers who struggle, and parental involvement. In 2010, he was elected to the International Reading Hall of Fame. 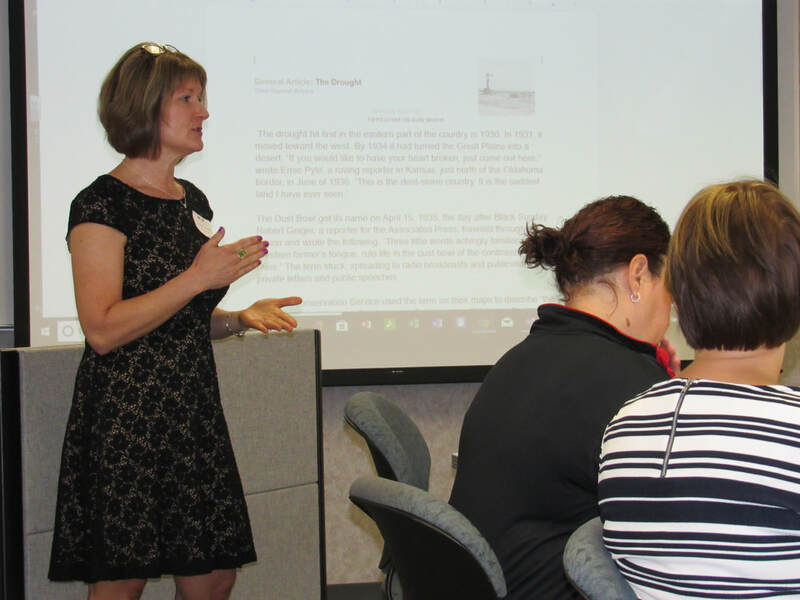 Each summer, NWP-KSU offers workshops in the teaching of writing. In 2018, our workshop focused on the National Writing Project's College, Career, and Community Writers Program. The program provides tools and resources for incorporating argumentative writing throughout the school year. The Wandering Book Club meets in the Akron-Cleveland area throughout the school year. Mahoning Valley Book Club meets year-round at the border of Boardman and Canfield. Follow us for updates on events and professional development! We're @NWPKentState.